Power 92 Jams and Cumulus Media – Little Rock is once again blessed to partner with the Arkansas Martin Luther King, Jr. Commission for our celebration of the King Holiday for 2019. We see the observance of the National Martin Luther King, Jr. Holiday as ‘a day on,’ not just another day off, and the King Commission has scheduled a full day of events you need to make time for, whether you have the day off for work or not. JANUARY 21, 2019 & TO GET YOUR TICKETS VIA EVENTBRITE! 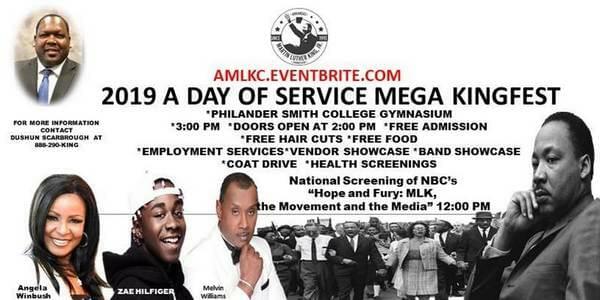 From the Annual Interfaith Prayer Breakfast at Saint Mark Baptist Church to the King Holiday Mega Kingfest at Philander Smith College, Power 92 Jams and the King Commission have you covered for a full day of events to celebrate the life of a remarkable man.